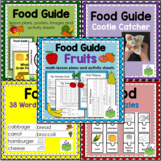 Students can cut out various food items, then sort them onto the new food pyramid plate. The pictures are made from Boardmaker. The pictures are also paired with words to help students learn new vocabulary words. 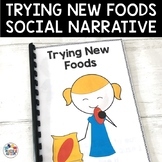 This social story addresses trying new foods. 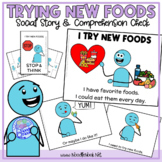 It talks about seeing new foods, trying new foods, and what to do when you like/dont like how something tastes. 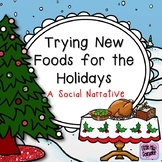 Media Influence on Food Choices - Create a New Food Product! 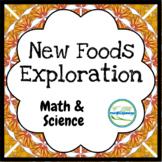 Cooking in the classroom brings benefits on many levels. Attached is a recipe as well as questions about the cooking lesson or students to complete independently or as a group. Use this handy form and rubric to help you prepare a well balanced meal at home and analyze it based on new guidelines given.